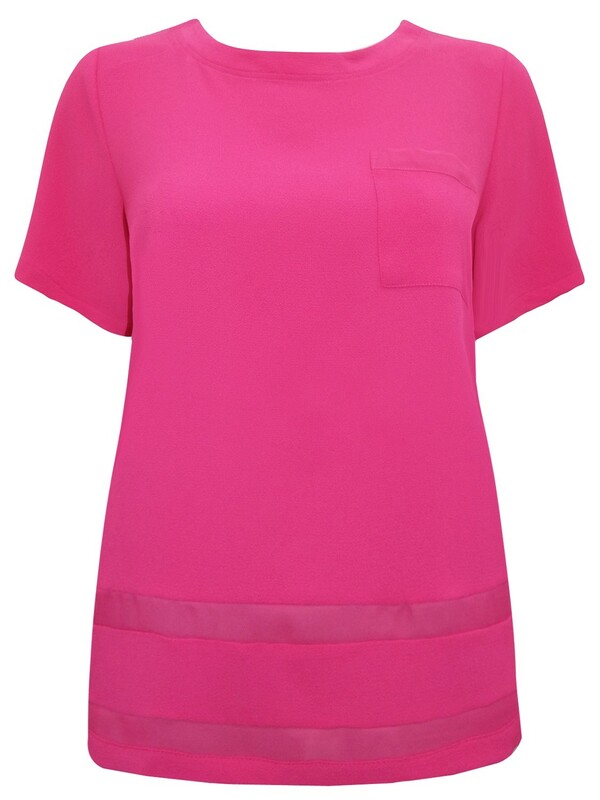 Light raspberry color shell top featuring a round neckline, short sleeves and one chest pocket. Sheer panel detail to the hemline. Keyhole button fastening to the back with gold button. Added Stretch.